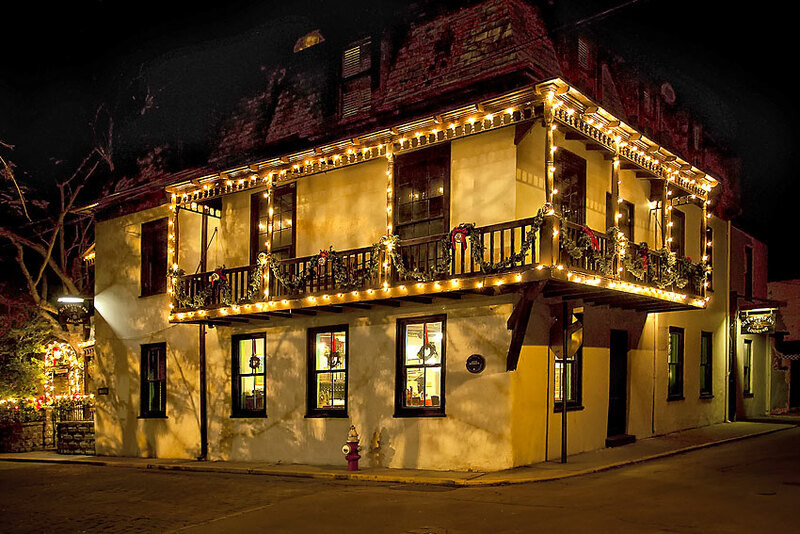 Nestled under ancient live oak trees and among tropical garden spaces, St. Francis Inn is an oasis on the narrow brick-paved streets of the Old City of St. Augustine. 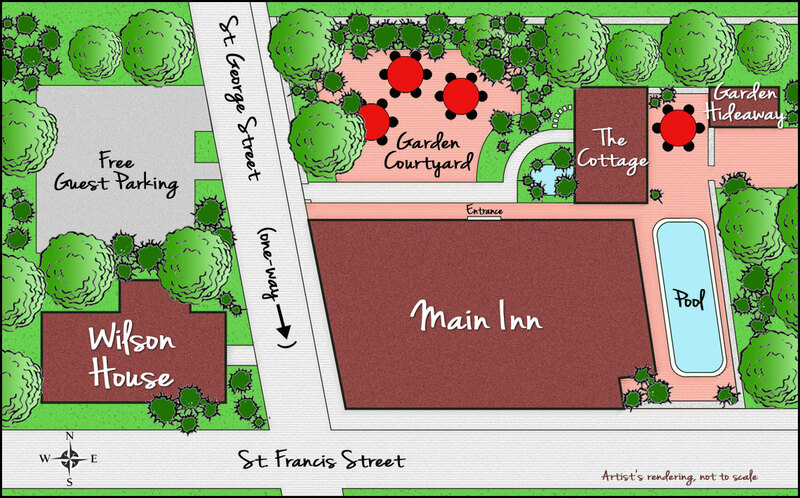 Guest accommodations – 17 rooms and suites – are within the four buildings pictured on this Property Map. Guests of all these accommodations are just steps from the Welcome Lobby, Dining Room, Living Room, and Gift Center, located in the Main Inn. 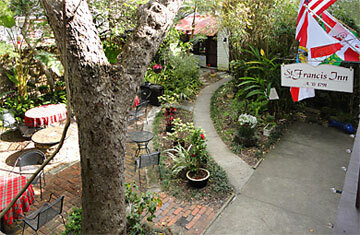 The centrally located Garden Courtyard is a hub of Inn activity as well as a relaxing haven for morning coffee, evening socials, or catching up on your messages from home. 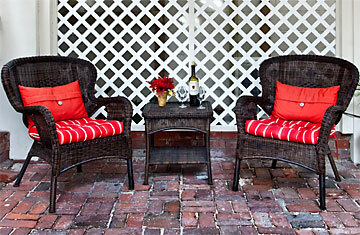 For more complete details on any Inn accommodations, just click on its name. 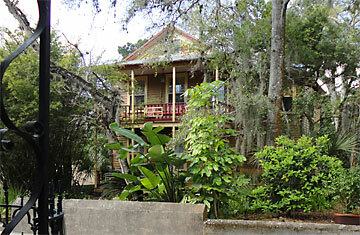 In addition to the 17 rooms & suites, the Inn offers two unique accommodations just a few blocks away at The 1894 House. Each of the two stories features an apartment-style suite of rooms, each with kitchen, living room, two bedrooms and two bathrooms. For more complete details on any Inn accommodations, just click on its name below.